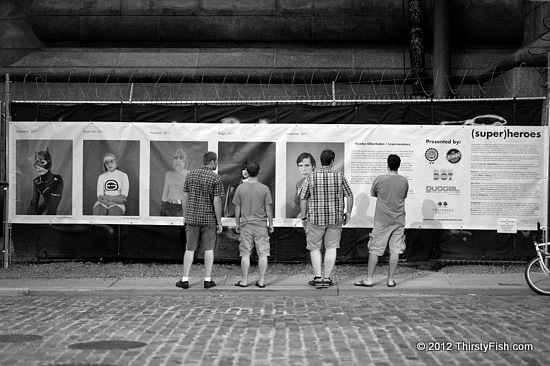 DUMBO is hosting the work of a number of photographers featuring "superheroes as a allegorical exploration of social issues" around the Manhattan Bridge anchorage, as part of the New York City Department of Transportation's Urban Art Program. We all have an "innate desire to believe in powers greater than ourselves"? You can find out more about this project on the United Photo Industries site.